The Eucalyptus tree is beautiful; it is a tall evergreen that can grow up to 90 metres high (270 feet). The young trees have oval bluish-green leaves while the mature trees develop long, narrow, yellowish leaves, creamy-white flowers and a smooth, pale grey bark. Organic Eucalyptus Red Essential Oil is fantastic on skin ailments such as burns, blisters, wounds, insect bites, lice, and skin infections. It can also be used to combat the effects of colds and the flu. 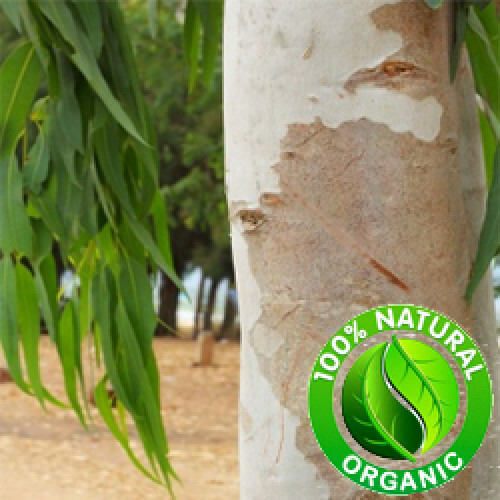 There is also a history of Eucalyptus Essential Oil being applied to sore muscles and joints.